We are a proven education provider offering specialized and inspirational enrichment programmes to the high ability and brightest children between 3-12 years old. Our curriculums are modeled after the internationally recognized Gifted Education Programme focusing on both critical thinking and problem solving skills, to further develop the brain potential and grit of these future leaders. We adopt a “Growth Mindset” philosophy that intelligence can be further developed. 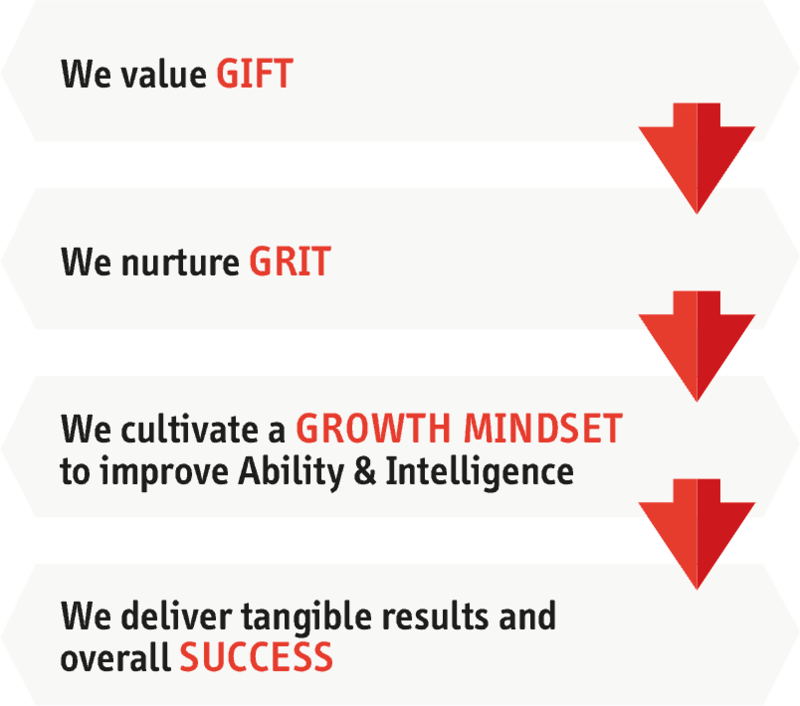 We nurture students by improving their ability and mindset through a culture of grit. We develop and deliver premier enrichment programmes in advanced mathematical reasoning, english language art, science critical-thinking skills, communication and leadership training programmes. Our alumni have achieved success in various areas, such as being the top scorers for international math & science competitions, winners of global writing competitions and recipients of prestigious scholarships.